Hard to process while it’s currently like walking on the surface of the sun outside. 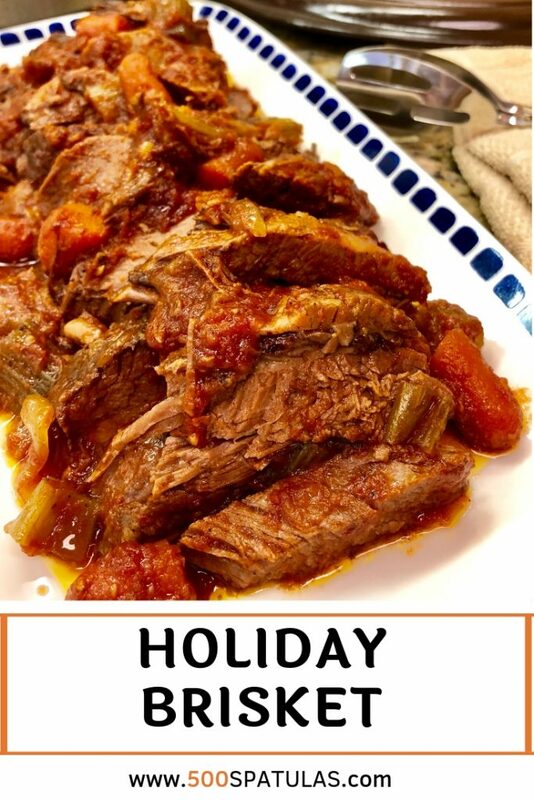 While quietly weeping, I thought it might be a good time to share my my go-to Holiday Brisket recipe. 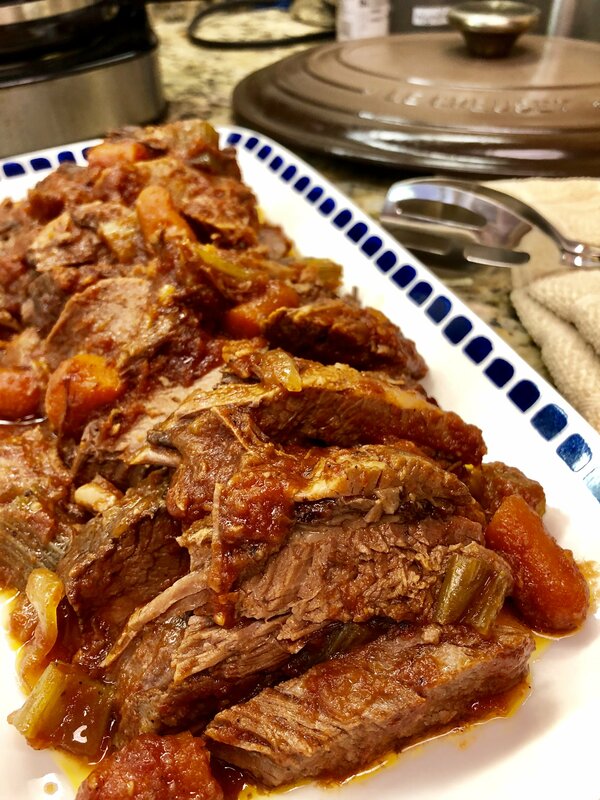 This recipe is wonderful for Rosh Hashanah, Passover, and whenever you want to knock the socks off your guests. 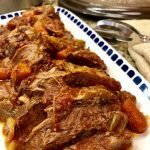 This is a “low and slow” recipe and actually has very little active time. You are going to love it!! 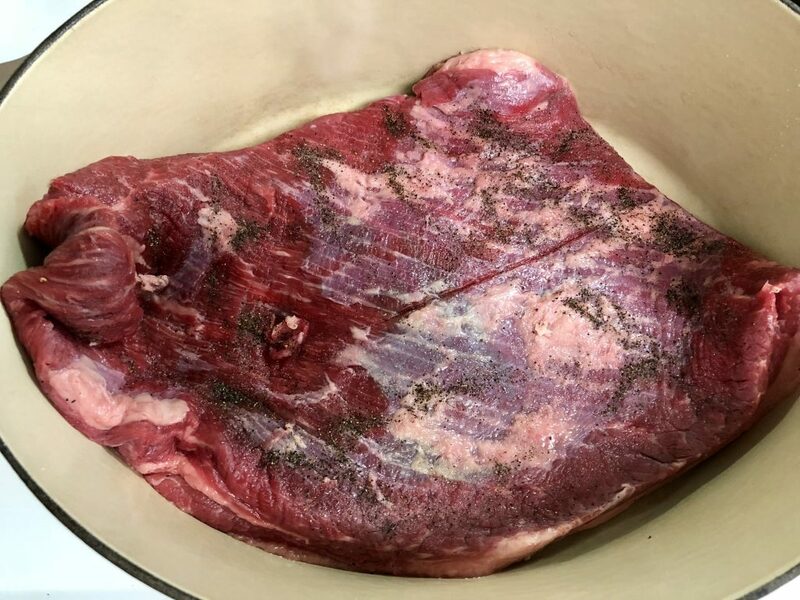 Preheat oven to 300 degrees F. Rinse the brisket and pat dry. Rub both sides of the meat with salt and pepper. In a large dutch oven (or skillet if using a roasting pan) heat 2 tbsp of olive oil over medium heat. Brown the brisket on both sides for 5 minutes per side. 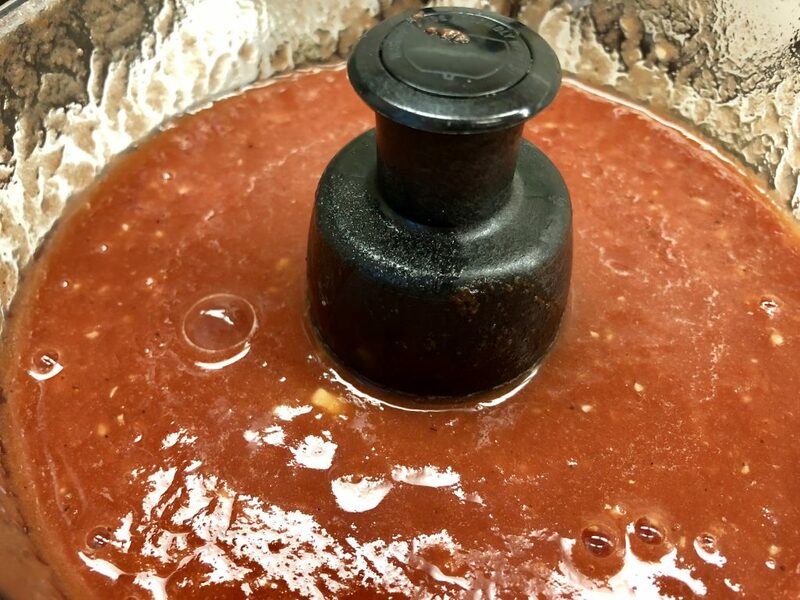 While brisket is browning, pour canned tomatoes, garlic, brown sugar, apple cider vinegar, and 1 ½ cups broth into a food processor. 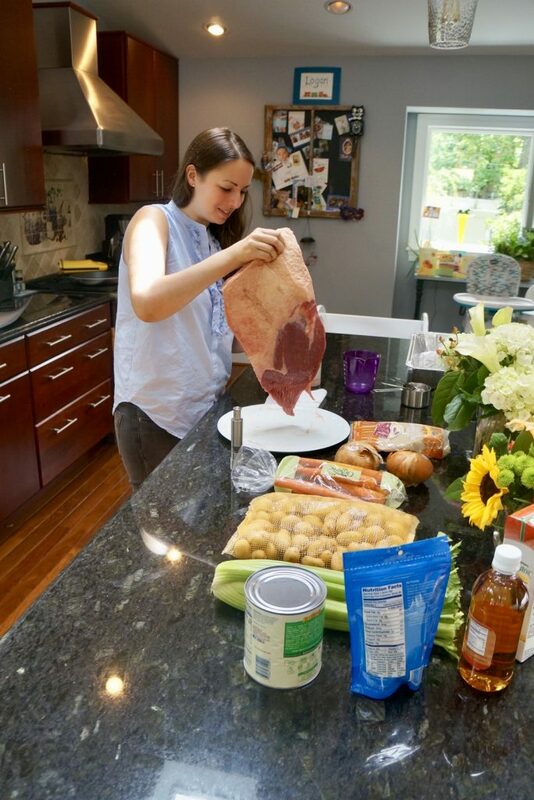 Add 2 tsp of salt (or 1 tsp if using a kosher cut of brisket) and ¼ tsp of black pepper. Pulse till garlic is chopped small and all ingredients are combined. 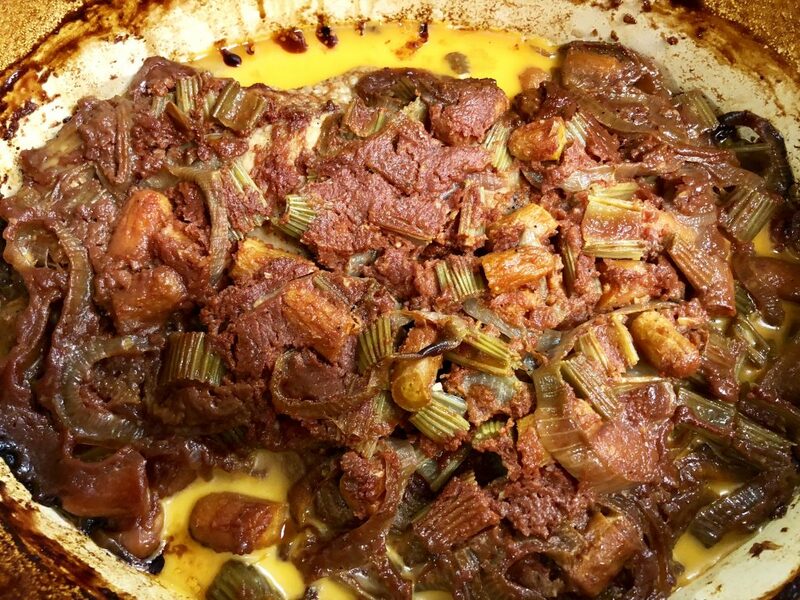 Remove the browned brisket from the dutch oven and set aside on a large plate. 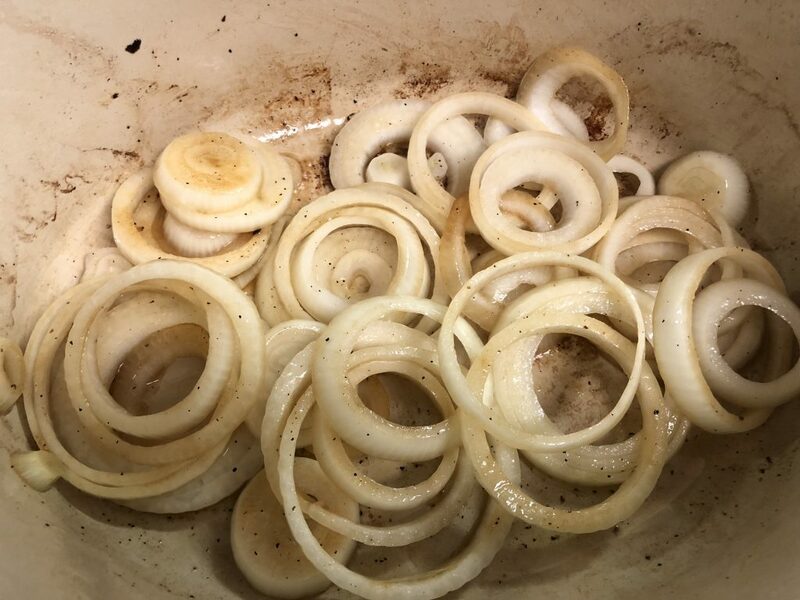 Add the sliced onions and saute over medium high for a 2 – 3 minutes. 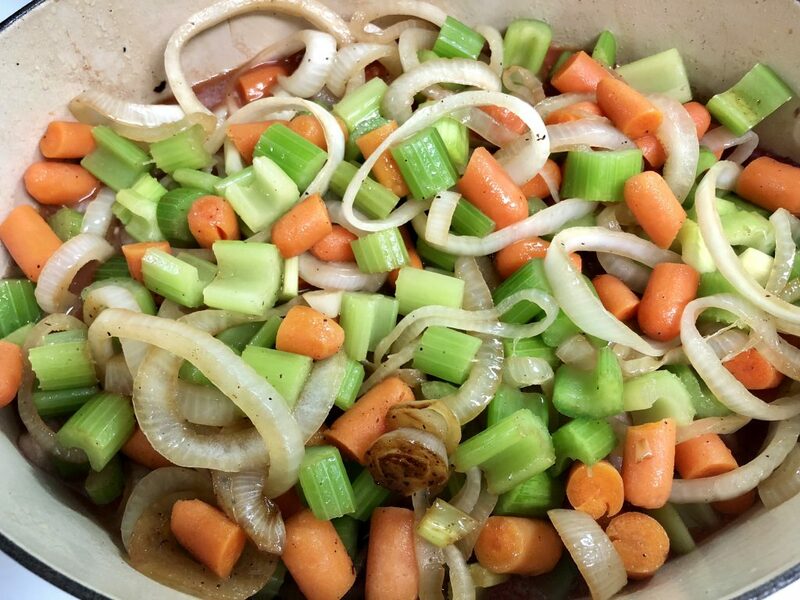 Add the carrots and celery slices. Sauce for another 5-6 minutes until the onions are caramelized and the vegetables are fragrant. Pour the vegetables into a bowl and set aside. Pour 1/2 cup broth into the dutch oven. 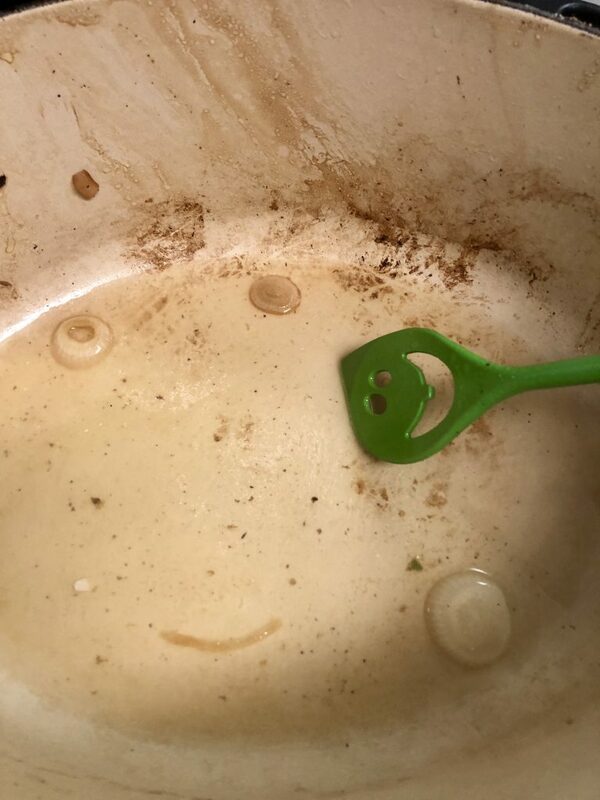 Use a spatula to scrape up any bits that are clinging to the pan. Turn off heat. Add half the tomato mixture into the dutch oven. Place brisket on top of the tomato sauce, fat cap facing up. Add the sautéed vegetables on top of the brisket. Pour the remaining sauce over the top of the vegetables and brisket. Cover the dutch oven (If using a roasting pan, cover it tightly with foil). Place into the preheated oven. Let it roast undisturbed for 6-7 hours. Brisket will be soft, and almost shredded. 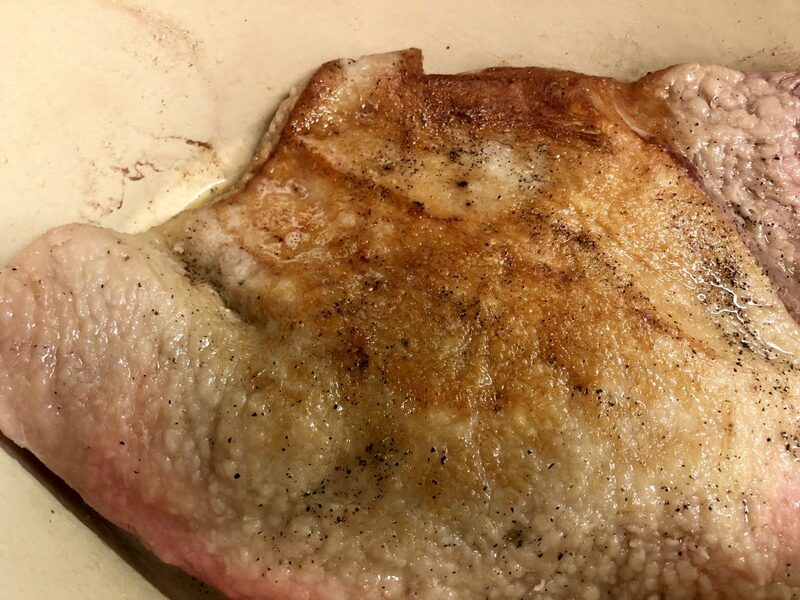 For cleaner slices, roast for 5 – 6 hours. 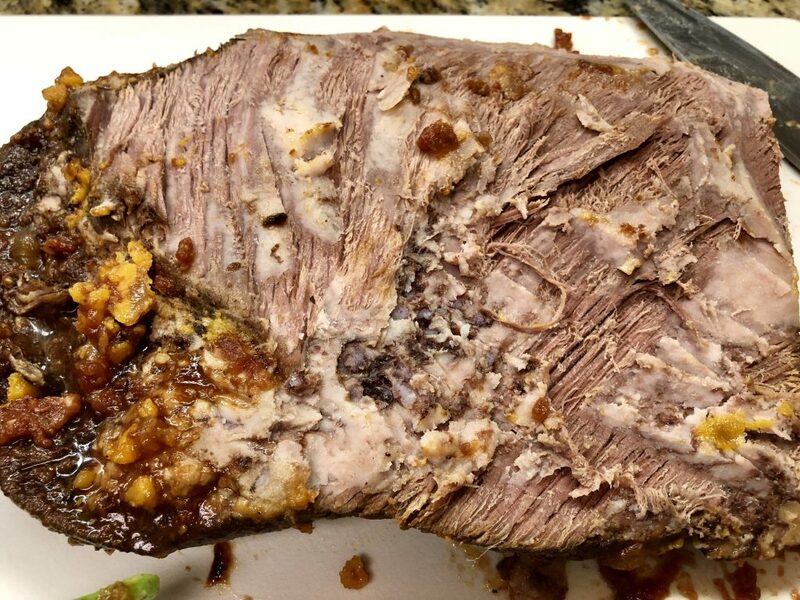 When fully cooked, the brisket will have shrunk in size. Tuck it in, say goodnight, and try not to drool as Brisket aromas fill up your home. Vent the cover of the dutch oven and let the brisket slowly return to room temperature. Once room temperature, re-cover and place in the refrigerator to chill overnight, or up to two days. 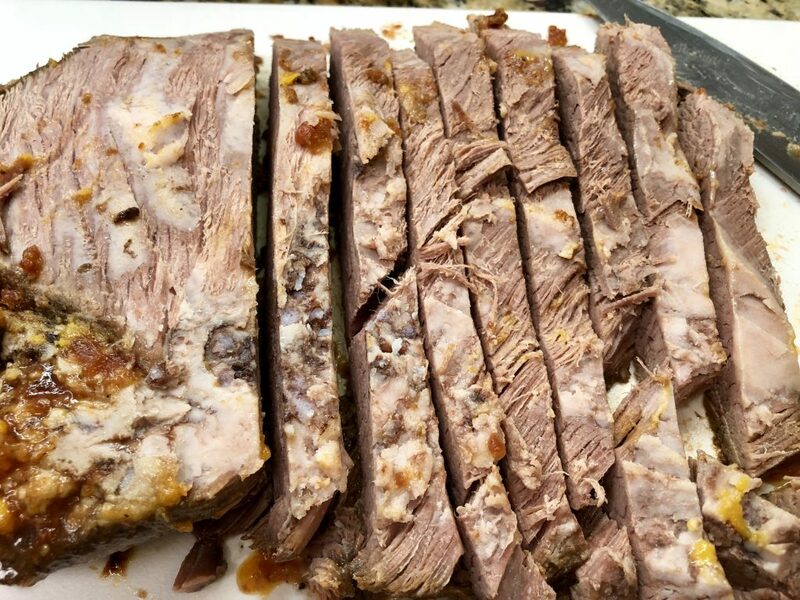 Return the sliced meat to the dish and spoon sauce over it, making sure to spoon a little sauce between each slice. Cover the dutch oven and place it in the oven. Let the brisket roast for 45-60 minutes till heated through. Serve hot and enjoy! 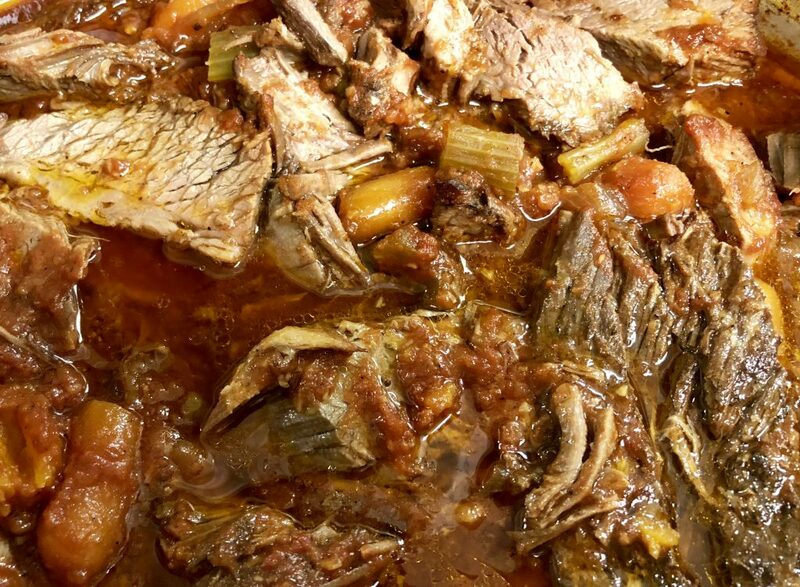 Remove the browned brisket from the dutch oven and set aside on a large plate. Add the sliced onions and saute over medium high for a 2 - 3 minutes. 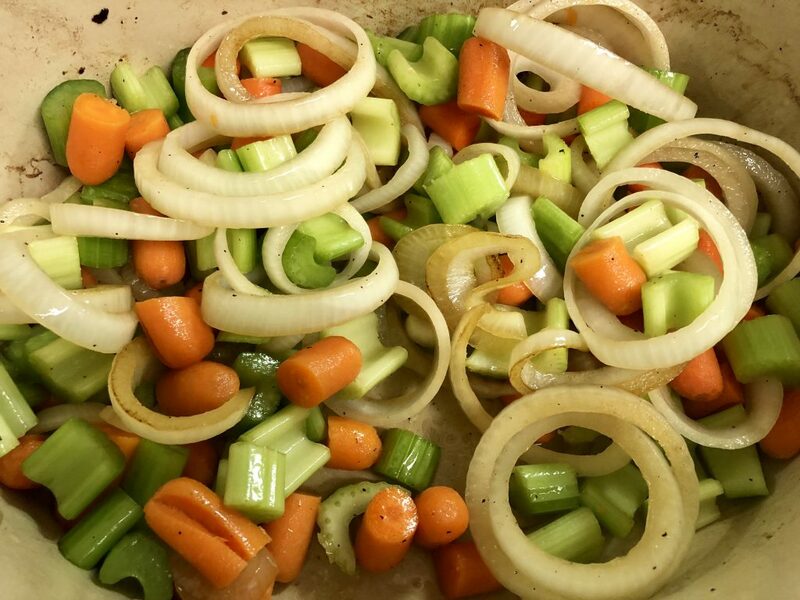 Add the carrots and celery slices. Sauce for another 5-6 minutes until the onions are caramelized and the vegetables are fragrant. Add half the tomato mixture into the dutch oven. 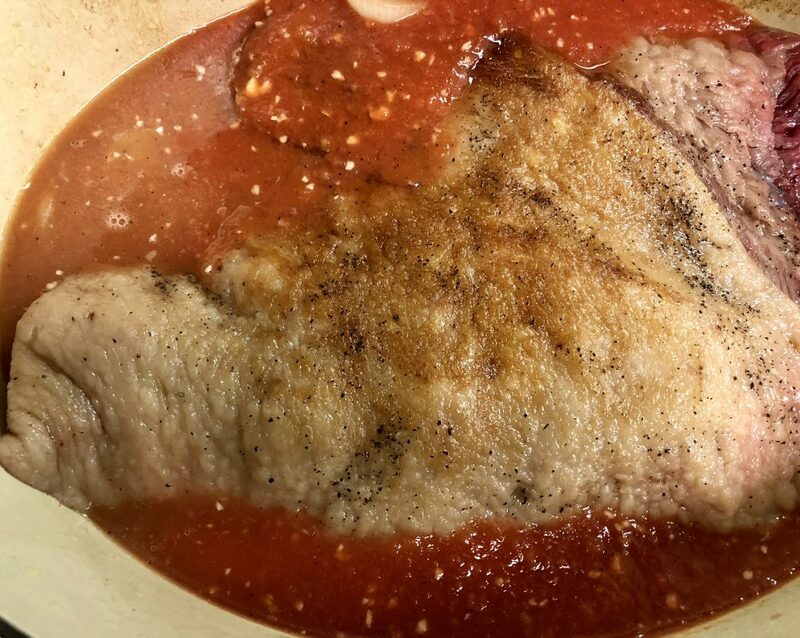 Place brisket on top of the tomato sauce, fat cap facing up. Add the sautéed vegetables on top of the brisket. 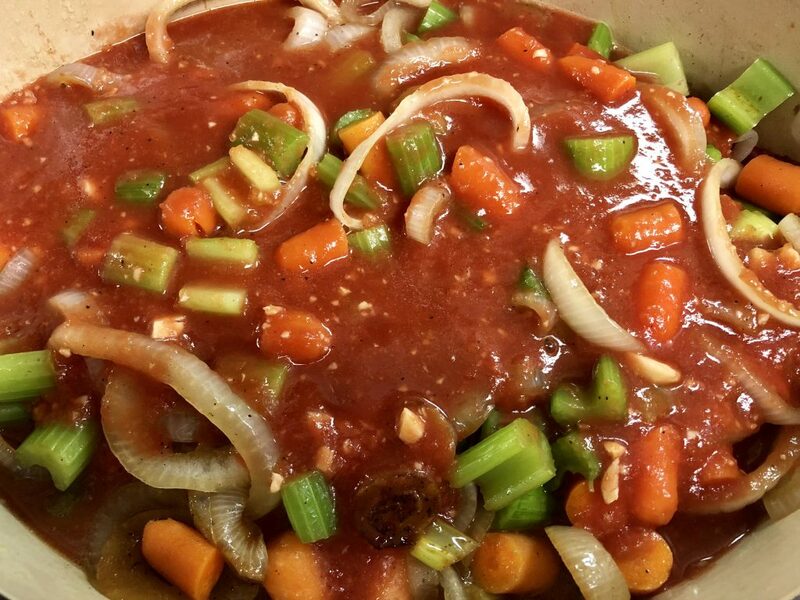 Pour the remaining tomato sauce over the top of the vegetables and brisket. 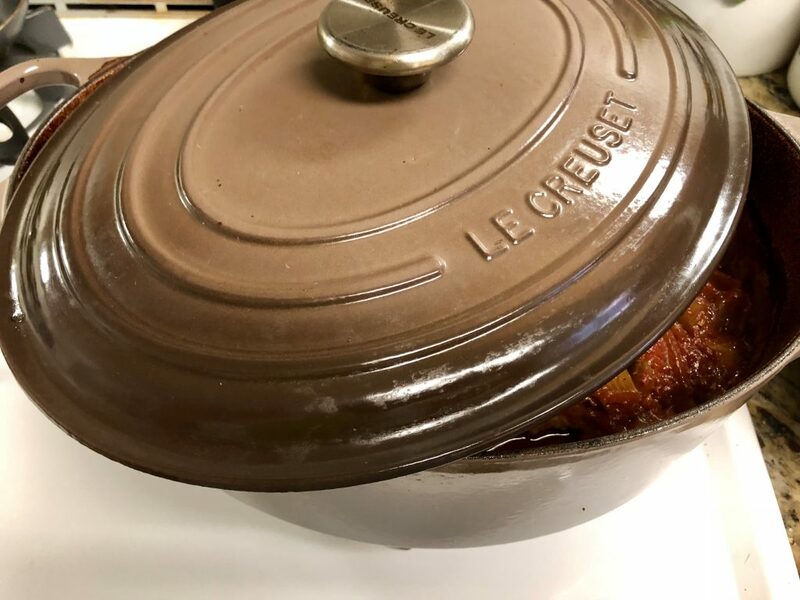 Cover the dutch oven (If using a roasting pan, cover it tightly with foil, tenting slightly so there is no contact between the foil and the ingredients inside). Place into the preheated oven. Let it roast undisturbed for 6-7 hours. 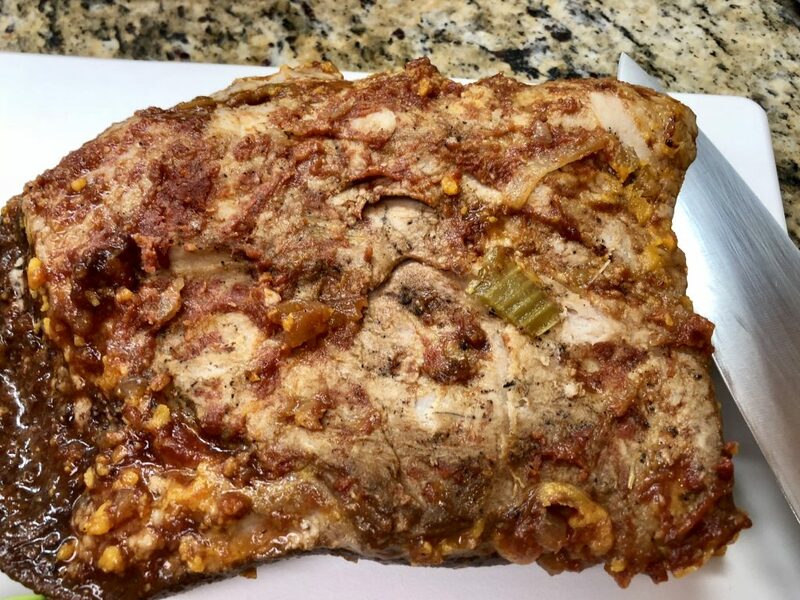 Brisket will be soft, and almost shredded. For cleaner slices, roast for 5 - 6 hours. 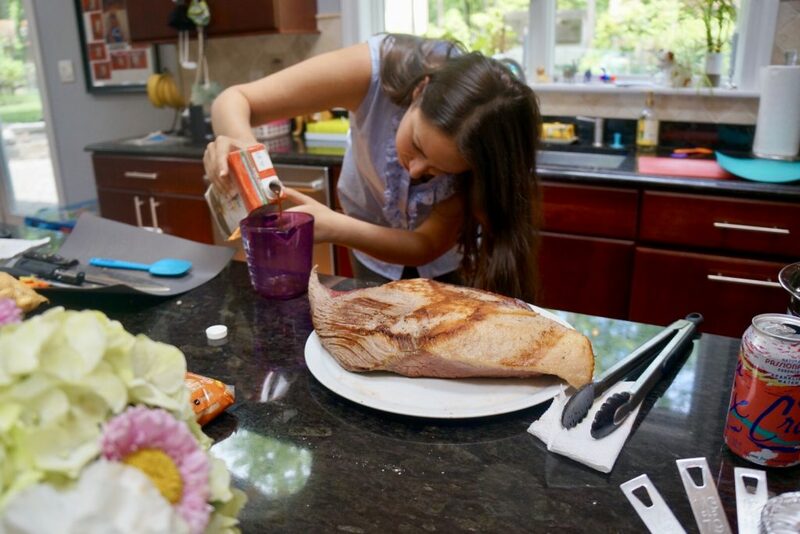 When fully cooked, the brisket will have shrunk in size. 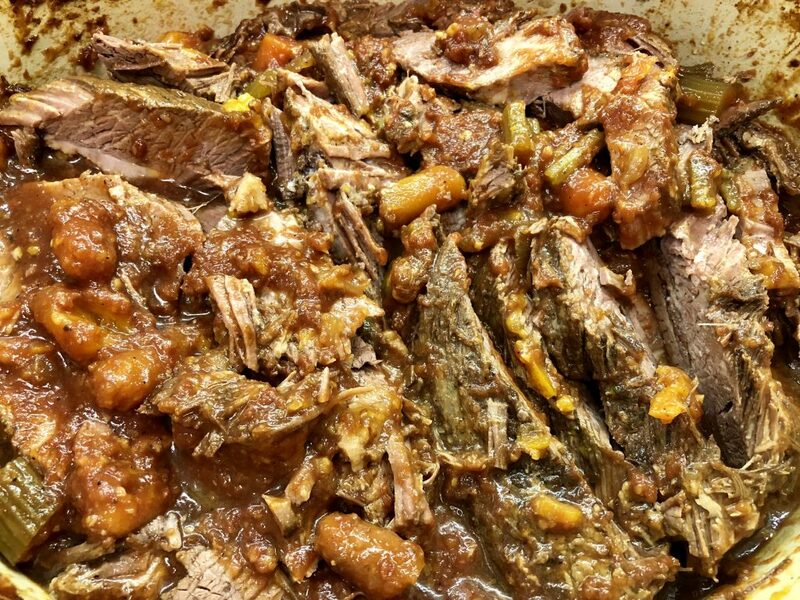 Remove the cover of the dutch oven and let the brisket slowly return to room temperature. Once room temperature, re-cover and place in the refrigerator to chill overnight, or up to two days. 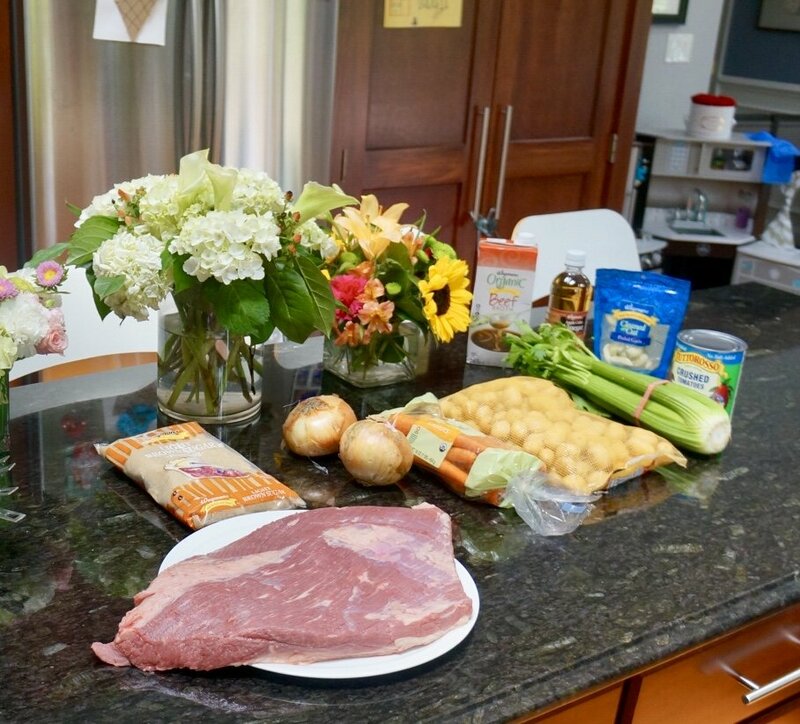 1-2 hours before serving, remove the brisket from the refrigerator and preheat your oven to 350 degrees. The fat in the sauce will have risen to the top, turned orange, and solidified. 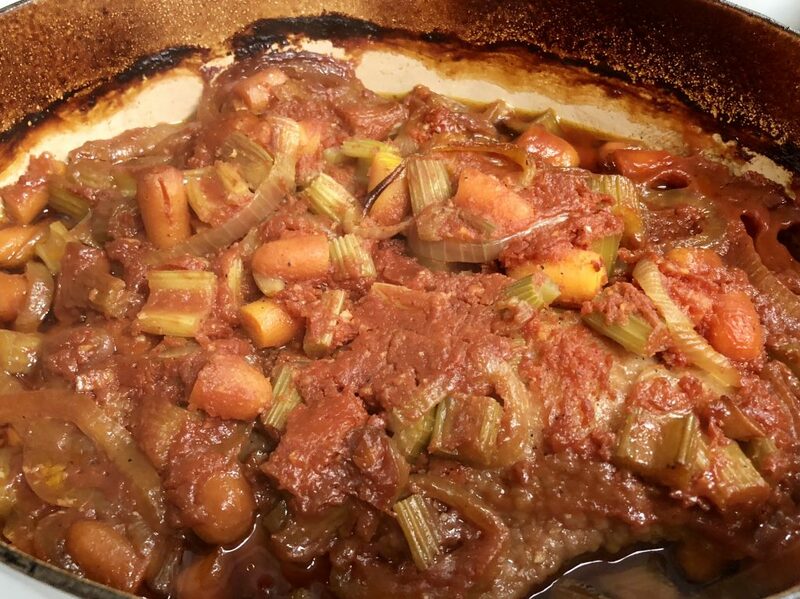 Use a spoon to scoop the fat bits out of the sauce and discard.